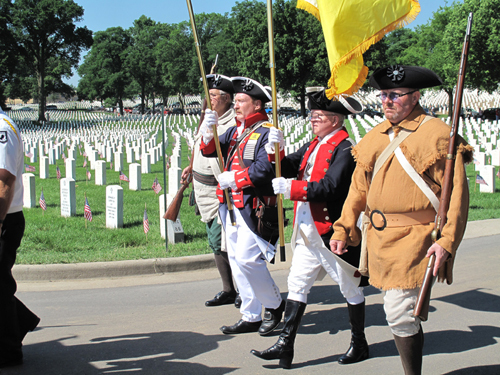 Shown here is the MOSSAR Color Guard Teams who participated on Memorial Day 2011. 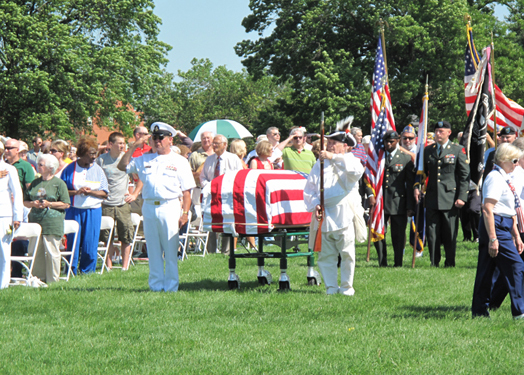 The Color Guard team participated in the Memorial Day event located at Jefferson Barracks in Lemay, MO. Left Photo (L-R): Compatriot Robert Brindell, Compatriot Jim Jackson, Compatriot Wayne Merrill, and Compatriot Jonathan Hunt. Center Photo: Militia Commander Bill Groth. 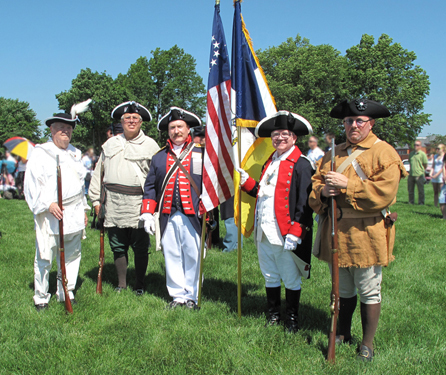 Right Photo (L-R): Militia Commander Bill Groth, Compatriot Robert Brindell, Compatriot Jim Jackson, Compatriot Wayne Merrill, and Compatriot Jonathan Hunt.